The all new Toyota Camry is an absolte game changer. Check out the completely redesigned 2018 Toyota Camry with all new design from front to back. Camry has been a class leader for many yers but this 2018 isnt the Camry of the past. 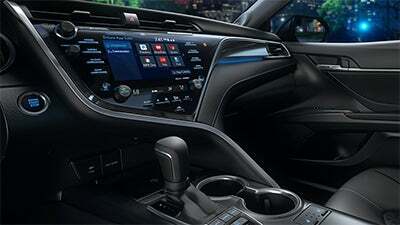 The all new 2018 Toyota Camry interior gives it a stylish and futuristic look and feel but the new technology will leaving you inspired and tech savvy. With full sync capabilities with your smart phone you can bring on and take out all of your personal music and info to use while on the go. Whatever you are searching for the all new 2018 Toyota Camry is surely to make your shopping list with its radical new design. You will also find a great selection and a very family friendly staff at Jimmy Jones Toyota in Orangeburg. They have a great attitiude and are willing to help you in every way.